'Vox Lux' follows the rise of Celeste to pop super stardom, taking 18 years of her life. In 1999, teenage Celeste survives a violent tragedy. After singing at a memorial service, Celeste transforms into a burgeoning pop star with the help of her songwriter sister and a talent manager. Celeste's meteoric rise to fame and concurrent loss of innocence dovetails with a shattering terrorist attack on the nation, elevating the young powerhouse to a new kind of celebrity: American icon. By 2017, adult Celeste is mounting a comeback after a scandalous incident that derailed her career. Touring in support of her sixth album, a compendium of sci-fi anthems entitled 'Vox Lux', the pop savior must overcome her personal and familial struggles to navigate motherhood, madness and fame in the Age of Terror. 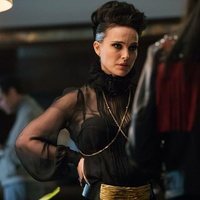 Write your own 'Vox Lux' review. 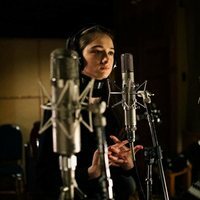 The soundtrack of 'Vox Lux' is composed of original songs written by Sia.